We have a number of refurbished mirror monitors. They have been refurbished in our workshop and have a 12 month guarantee. They are in an as new condition and come complete with their wiring harness. 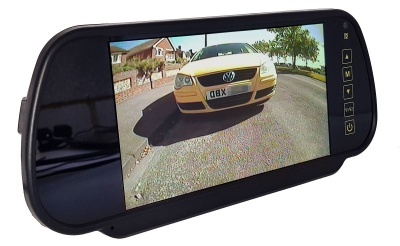 These monitor clip onto an existing rear view mirror and are used with cameras that have a 4 pin aviation style connector.